Malaysia’s badminton king Lee Chong Wei, under treatment for nose cancer, has withdrawn from next month's Sudirman Cup in China after doctors advised him against "exerting himself"
Lee Chong Wei is likely to miss the Malaysia Open and delay his comeback from nose cancer for a second time as the badminton great struggles to make a full recovery. 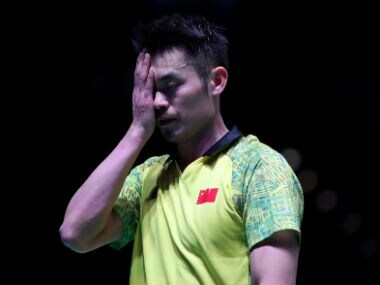 Chinese badminton superstar Lin Dan crashed out of the All England Open in the first round, losing to Japan's Kanta Tsuneyama. Cancer-stricken Malaysian star shuttler Lee Chong Wei has announced that he has no intention of retiring and that he aims to return to training within a month. 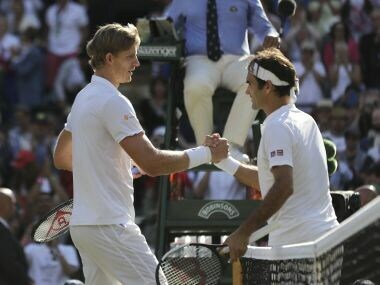 After a four-hour 14-minute battle of wills between Roger Federer and Kevin Anderson, it was the South African who deservedly emerged as the last man standing. A dozen titles on the Superseries circuit, including five in 2017 alone, bear mute testimony to Tai Tzu Ying's hegemony on the international badminton circuit. 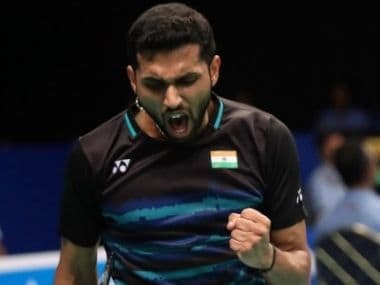 HS Prannoy's good run at the All England Championship saw him jump four places and regain his world No 12 spot, while men's doubles combo of Satwiksairaj Rankireddy and Chirag Shetty broke into the top 20 in the latest BWF ranking on Thursday. Despite beating Nozomi Okuhara in yet another neck-and-neck battle, PV Sindhu should brace herself for an even tougher challenge against Akane Yamaguchi in the semi-final.